Alfonso Cuarón is one of those directors that certain people love with a passion, and many have genuinely waited patiently for his next work. His last feature film on the big screen was CHILDREN OF MEN in 2006, preceded by HARRY POTTER AND THE PRISONER OF AZKABAN in 2004 (actually my least-favorite of those films, though I know I’m in the minority). GRAVITY has been talked about for a while, featuring George Clooney and Sandra Bullock in a drama about two astronauts that may (or may not) be stranded in the cold vacuum of space. With movies like this and EUROPA REPORT, another realistic drama with a space setting, not to mention all the futuristic set films we’re getting bombarded with like AFTER EARTH and ELYSIUM, this is turning out to be a great year for Sci-Fi fans. 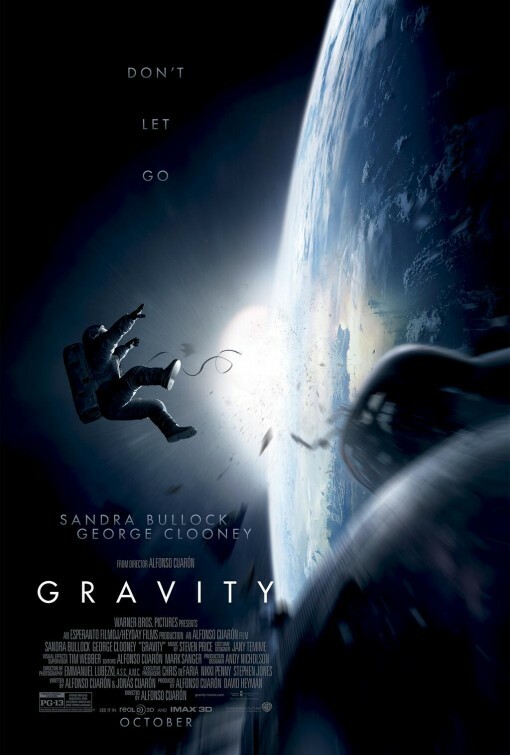 Check out the first poster (above) and trailer (below) for GRAVITY, and tell us your thoughts in the comments. Sandra Bullock plays Dr. Ryan Stone, a brilliant medical engineer on her first shuttle mission, with veteran astronaut Matt Kowalsky (George Clooney) in command of his last flight before retiring. But on a seemingly routine spacewalk, disaster strikes. The shuttle is destroyed, leaving Stone and Kowalsky completely alone–tethered to nothing but each other and spiraling out into the blackness. The deafening silence tells them they have lost any link to Earth… and any chance for rescue. As fear turns to panic, every gulp of air eats away at what little oxygen is left. But the only way home may be to go further out into the terrifying expanse of space. Kind of like OPEN WATER but instead of sharks, you have micro-meteors and oxygen loss and the eventual pull of gravity. That’s my kind of a shark movie!